Good blog!! Really interesting. Take a look at this book (Soldier & Spice: An Army Wife’s Life)because i think you’ll like it. This is about a new Army wife’s life. 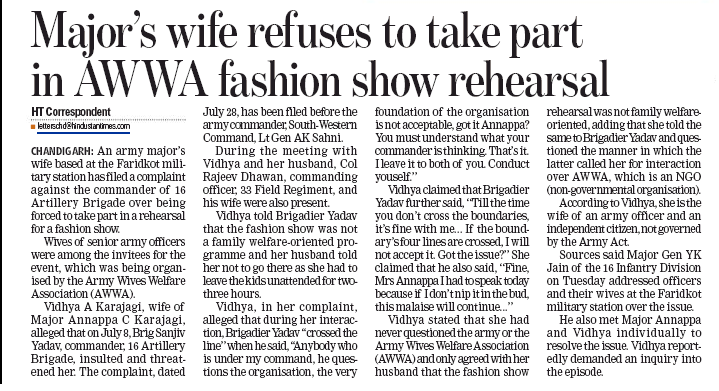 I admire you vidhya for the courage you have shown. Even savneet paul , wife of major punyadeep singh paul hv brought army to books. These ladies run a dumi official hierarchy within themselves nd trouble us. I wish i had as much courage as you. May every officer and lady have the courage to stand up to such pressure tactics.